Through the municipality of Svoge passes the railway line between Sofia and Mezdra and several busy road arteries that are part of the national road network. 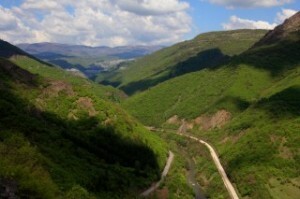 In the gorge of the IskarRiver passes a well maintained road connecting the capital with northern Bulgaria. By train or bus from Svoge, Sofia can be reached in 30 minutes. It is important for the local population as it allows cheap and fast access to the capital city associated with short-term economic migration and use of health care, administrative and other services. The newly opened tourist centres in Svoge and village station Bov provide rich information for tourists and visitors alike, facilitating visiting natural attractions, accommodation in hotels or impending departure. Svoge Municipality is an attractive tourist destination for residents of Sofia, because of its purely geographical proximity, as well as for tourists from all over Bulgaria, and abroad. Nature took care to give us wonderful and unique attractions, emblematic of the region and to the pride of its inhabitants. Besides the natural beauty and cultural monuments, Svoge municipality is rich in attractive places for recreation and entertainment. We will name a few, but they are not all. Located 45 km from Svoge in beautiful woodland, below the peak Murgash, about 6 km from the village of Jablanica. Besides an immaculate hotel, it offers tourists opportunities for recreation such as hunting big game, fishing and hiking. Located about 40 km from Svoge near by the village Jablanica. 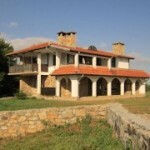 Newly built, modern, it offers tourists comfort and facilities in all seasons. The natural locality is perfect for the breeding of deer, wild boars, foxes and rabbits. Located in the village Zasele, near „Vazov’s Ecopath“ and the waterfall „Skaklya.“ Situated on over 20 decares of land, among lush meadows and old beech forest in the highest and most picturesque part of the village. Besides comfortable accommodation and service, it offers a unique panoramic view of the Gorge from the eyes of an eagle. CHIFLIK „NENKOVI“ located in the village Osenovlag and BIOFERM „CHEMERNIK“ situated above the village Bov, offer visitors ecotourism. 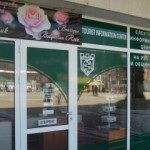 For the comfort of the guests of Svoge, there are several hotels and restaurants. The eco-trails in the area and the city’s sports complex, allows for pleasant walks and sports.